Home /Digital Media Marketing » How do you optimise your Facebook ad frequency to avoid ad fatigue? How do you optimise your Facebook ad frequency to avoid ad fatigue? Ad frequency refers to the number of times a person sees your ad. This is a data metric that you should keep your eye on because you want to make sure that people aren’t seeing your ad so much that it’s creating ad fatigue. Facebook ads perform the best when the ad frequency is between 3 and 5 times. So, when someone has seen the ad between 3 and 5 times, it is considered optimal. If a person hasn’t seen the ad at least three times, then they haven’t really seen it enough to take effect (and if they have seen it more than five times, then it is losing its effect and you are also wasting ad money). You can check that you are not exceeding this threshold in the ‘ad frequency’ column of Facebook’s ad manager. After you have hit the 5 times frequency, there are certain things that you can do. This is when you need to get creative and change up your ad a bit. The change doesn’t have to be huge – you can decide on a simple colour change. The ad basically has to be refreshed because people are becoming blind to it. An ad on Facebook typically hits the 3 – 5 threshold between two to four weeks, so you need to plan how you are going to update your ad. Video ads have a longer shelf life than image ads, so if you are creating videos then you can rest assured that they won’t have to be updated as often as your image ads. 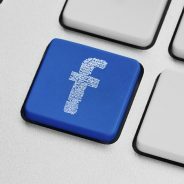 Need help with your Facebook marketing strategy? Then http://www.wsioms.co.za/contact-us contact WSI OMS today.